At Life OK Screen awards 2015, Kriti Sanon wore a lavender colored, strapless peplum Carmen Marc Valvo gown. She accessorized it with earrings and ring from Gehna Jewelers. She looked lovely. 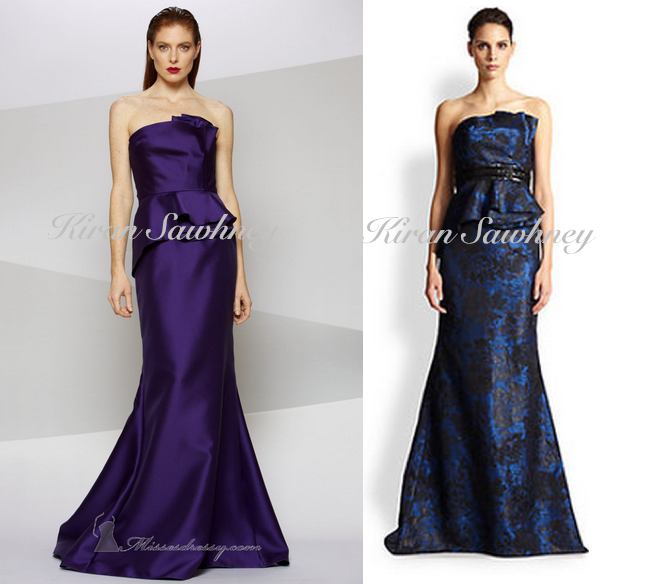 We have seen the same gown by the designer in many other color variations as you can see.